26 Dec Can Vehicle Wrapping Damage A Paint Job? However, if your vehicle’s paint is already chipped, a wrap may pull off the chipped paint when it is removed. The wrap may also lift off some of an aftermarket paint if the paint job is not of a high standard. 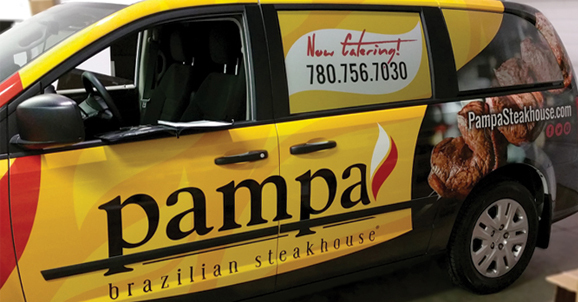 Still, a car or truck wrap is considered an excellent way to preserve the integrity of your vehicle’s surface. So, if you want to advertise your company with a wrap, you will find that your return on investment will reap you many rewards with regards to the responses you receive as well as maintaining your car. When the vinyl wrap is applied, you need to wash your vehicle thoroughly before installation. That means all cars and trucks should be free of mud, oil, and dust. That is because this kind of residue can prevent a vinyl wrap from adhering to a surface. Also, make sure the surface is free of rust. A 3M vinyl wrap will not adhere to a corroded surface. Once the car is cleaned, the wrap is applied to the surface, placing a protective barrier between the paint and the environment. While a vinyl wrap will not safeguard your vehicle from dings or dents, it will protect the paint of a car that features the factory original finish. Happily, when you remove a 3M vinyl wrap from an original painted surface, the vehicle is free of the both rock chips and scratches.